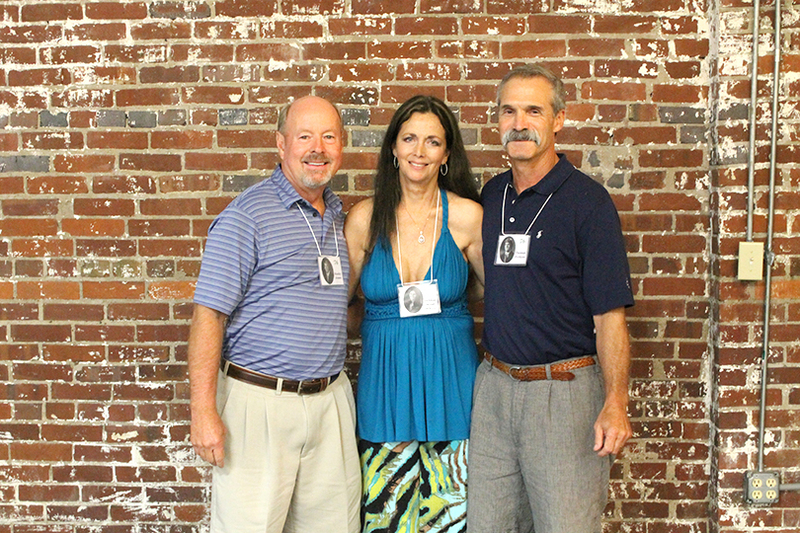 For Gallatin High School’s class of 1976, the Historic Depot Square-hosted reunion elicited memories of a saved celebration 30 years ago. In 1986 a group of excited 20-somethings had to think fast when their venue canceled two weeks before the 10-year reunion. After the Blue Grass Country Club in Hendersonville decided to move forward with renovations, the class struggled to find a large-enough local space. When they came across Depot Square Event Space, it was unowned, filled with pigeons and in need of serious work. After getting the realtor’s permission, skilled classmate collaborated on serious repairs and renovations including electrical, plumbing, air conditioning and carpentry. Class President Rocky Jones headed the project. 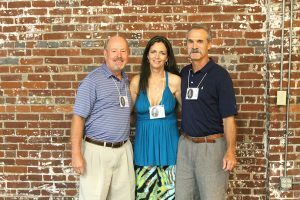 After the collaborative effort to save the 10-year reunion, the historic event space held a nostalgic significance for attendees. Class President Rocky Jones (left) organized the celebration along with Class Officers Deborah West White (middle) and Thomas Perkins (right). “When we were looking for a venue this year, the decision to return to Depot Square was unanimous,” said Jones. 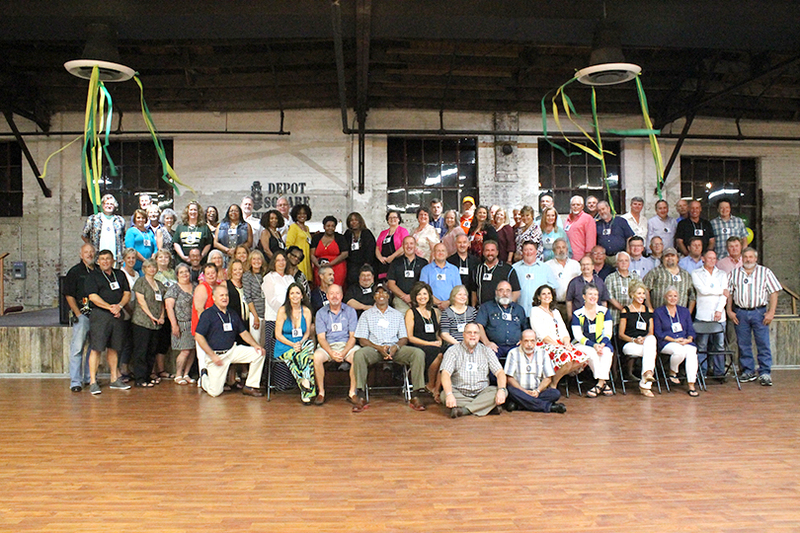 Last Saturday night over 150 classmates returned for a joyous reunion. Attendees enjoyed an evening of food, fellowship and reminiscence. The festive celebration displayed school spirit with green and gold-colored streamers and balloons. In addition to students, several teachers were also in attendance. American History Teacher Rob Hosier was in his third year at GHS when the group graduated. He described the group as “fun-loving pranksters” and shared stories of memorable pranks and mishaps. Hosier retired after 34 years of teaching but enjoys attending reunions and keeping up with past students. Built in the 1926, Depot Square Events Space combines past and present, bridging history and the making of new moments. The historic building was constructed with unique metal roof trusses, shipped from Bethlehem Steel Works in West Virginia. The concrete support columns and exterior wall framing techniques lend a rustic feel. After 90 years of varied owners, uses and renovations, the 9,800 square-foot building offers Gallatin’s largest dance floor at 1,400 square feet. The Depot Square Events Space now hosts weddings, reunions, corporate gatherings, fundraisers and other events. Visit depotsquareevents.com or call 615-206-3412 for information on booking future events.